You'll be £4.99 closer to your next £10.00 credit when you purchase Hill 112. What's this? 'He who holds Hill 112, holds Normandy' said a German general, while the British regarded the hill as 'the Key to Normandy'. 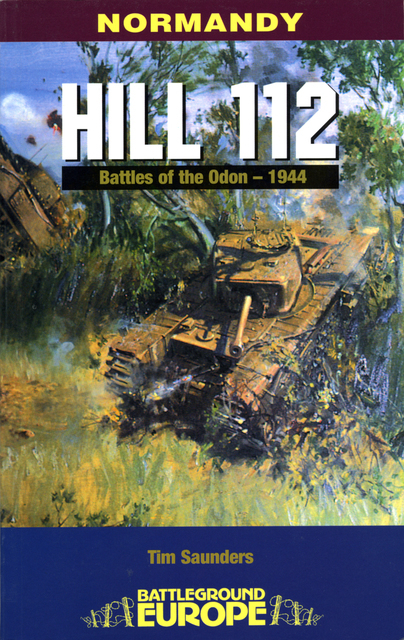 During the battle in June and July 1944, both sides were to fight hard for its dominating views over the surrounding area.This book tells of Hill 112's seizure by 11th Armoured Division and their subsequent withdrawal after ULTRA decryptions warned Montgomery of II SS Panzer Corps's approach. Ten days later soldiers from the West Country, Scotland and the Royal Tank Regiment struggled to take Hill 112 for a second time.The controversial Major General Thomas earned the nickname 'Butcher' in one of the Normandy campaign's bloodiest battles, fought against four SS panzer divisions. This guide depicts in vivid detail the desperate fighting during the hot July days on the slopes of Hill 112 and in the surrounding villages that remain largely unchanged today.